With an economy the size of an industrialized country, California sees its fair share of commercial truckers coursing the Golden State's roads on a daily basis. While there, professional drivers are subject to the rules and regulations that govern the hauling industry. But the one regarding meal and rest breaks has been preempted by the Federal Motor Carrier Safety Administration, this after receiving numerous complaints from trucking organizations arguing that the directive was more of a hindrance than a help. 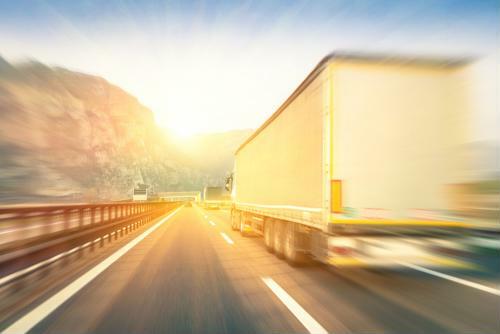 As detailed by FleetOwner, tracing back to 2011, labor laws in California mandate that drivers on the road for five hours or longer receive at least one 30-minute break and an additional half-hour should their shifts be 10 hours or more. The state stipulates that they be given 10 minutes of rest time for every four hours of drive time, assuming their travels don't extend beyond the state border. But these regulations run counter to the rest of the country. Truckers elsewhere are prohibited from driving for more than 11 hours in a given day, and only receive one 30-minute lunch break. The conflict between state and federal law has created confusion, which prompted the American Trucking Associations - among several other trade groups - to issue a petition to the Department of Transportation, which oversees the FMCSA. The FMCSA approved the ATA's appeal on Dec. 21. DOT Administrator Ray Martinez indicated that the government is granting the request for the sake of safety and clarity. "Drivers, consumers and job creators are best served by reliable and consistent rules," Martinez explained at FMCSA's website. "This action prioritizes safety, jobs and uniformity for trucks moving in and out of California. Safety is FMCSA's top priority and making uniform rules is a key component to increasing safety." ATA President and CEO Chris Spear commended the DOT for issuing the pre-emption, noting in a statement that the decision is a victory for not only the trucking industry but the safety of everyone that takes to the roads each day, truckers as well as regular motorists. It's also a win for the U.S. economy. "The trucking industry supports our nation's economic growth by safely and efficiently moving goods across state lines, and this decision by the Department of Transportation will save jobs, unburden businesses throughout the supply chain and keep the prices Americans pay for food, clothing and countless other essential items affordable and accessible," Spear said. The Specialized Carriers and Rigging Association, Western States Trucking Association and Oregon Trucking Associations were among the other groups that called on the DOT to render the decision they ultimately made. But there are those within the trucking sector who aren't pleased with the DOT's ruling. Barry Broad, director of the California Teamsters Public Affairs Council, told The Wall Street Journal that truckers - particularly those in the Golden State - are overworked as it is. He further opined that preempting California's meal-and-rest break rule could wind up resulting in more traffic accidents, not less.